Cosmetic Threads tool withough Note preview and no way to drive correct callout. Hole tool example with Note preview. 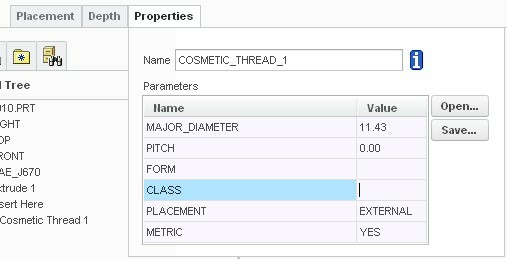 In Creo 2.0 you can use the Standard Thread option you just don't get the Note with it. I don't want the Simple Thread option removed. You are currently unable to programmatically change the size of the thread/hole when using the Standard option. I think it would be best if this Idea was Add NOTE when using the Standard Thread option for cosmetic threads.